Here are two outdoor rumfords I designed & built this summer. 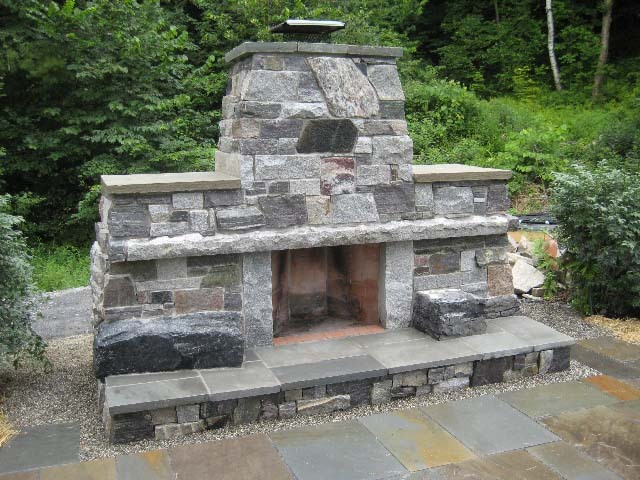 The large granite rumford, 3' Superior Clay kit, is at a private residence using reclaimed VT granite and quarried NY granite. Built in sitting stones are a great aesthetic and functional feature. The 2' Superior Clay kit rumford is built on a single stone slab and won first place in an outdoor sculpture competition in Burlington, VT Sept. 2008 (www.seaba.com/2008-Art-Hop). 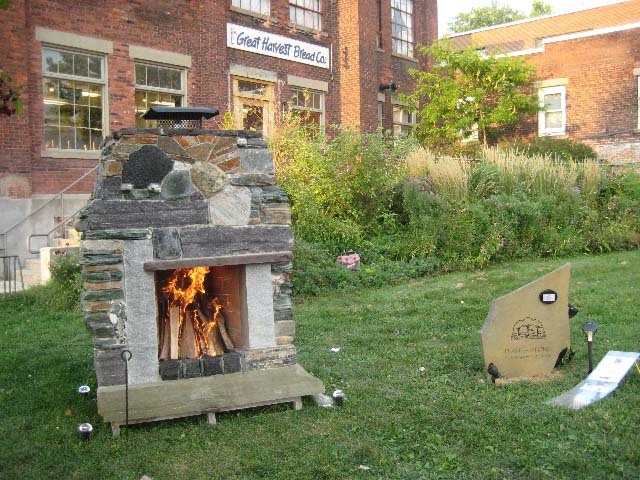 During open studio night, a fire provided fuel for marshmallows and hanging out. A large family event, we went through 400+ marshmallows and spread the word of Count Rumford. The stone veneer is a blend of VT, NY, and PA. A geode attracts the eye above the asymmetrical mantel. Links to step by step of the 2' rumford.